Once in a great while, we are given a game that pardons us from the repetitiveness of our daily gaming lives. I remember picking up Katamari Damacy for the first time and not being able to put it down. What about Disgaea for the RPG fans? Not many had huge expectations for that game, but look where it is now. 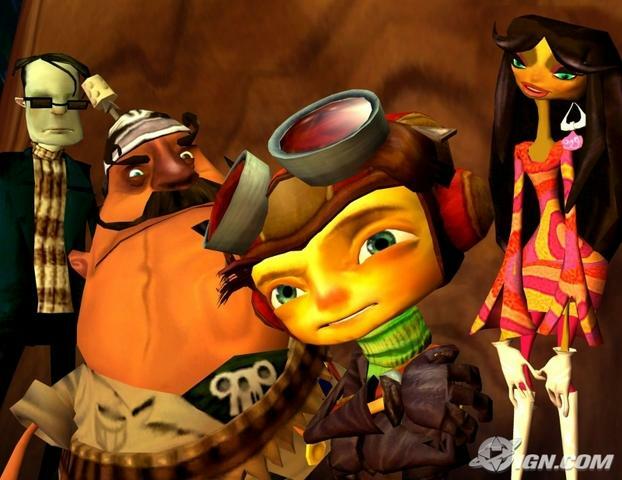 Enter Psychonauts, a quirky, entertaining platformer from Tim Schafer, the man responsible for huge hits like Grim Fandango, Monkey Island, and many others. The best way to describe this game is to put it in the same unique category as the cartoons Ren and Stimpy, or Rocko's Modern Life (I'm hoping you'll recognize at least one of those). Got that image in your head? Ok, hold it there, and let's go. You play the role of Raz, a young kid trying to reach his dream of becoming a "Psychonaut," the very important but dying occupation of a psychic secret agent. He sneaks into Whispering Rock Psychic Summer Camp, and has one only whole day to live out his dream before his Dad picks him up the next day. As the adventure begins, Raz finds that many of the other campers' brains are being stolen. Yes, that's right - their brains are being stolen. This is where the fun begins. In order to find out who or what is behind this, Raz will use his various psychic powers and enter the minds of others to find the clues he needs. Now think about this: what would it be like to actually ENTER the mind of another person? Needless to say, this leads to some very entertaining and, at times, absolutely hilarious situations. You'll swim in the brains of neurotic milkmen, failed actresses who have visions of grandeur and fits of rage, and an institutionalized man who believes he is Napoleon (most of the time anyways), to name a few. Oh yeah, and we're just getting started. Along the way, Raz will have to learn various psychic abilities in order to reach new areas, find new items, and help his friends. These "merit badges" can be earned by performing certain tasks, collecting a group of items, or completing objectives and missions. You assign 3 powers at a time, assigning them to L1, L2, and R1. The following are the basic skills Raz can learn, and by working with each one, he can improve its power along the way. Pyrokinesis: Setting random things on fire; you know it, you love it,. You can use this on enemies or to get rid of certain objects standing in your way. Telekinesis: Tossing objects can become quite useful later in the game, since you can pick up just about any item in the game and throw it as a weapon at any enemy, bosses included. 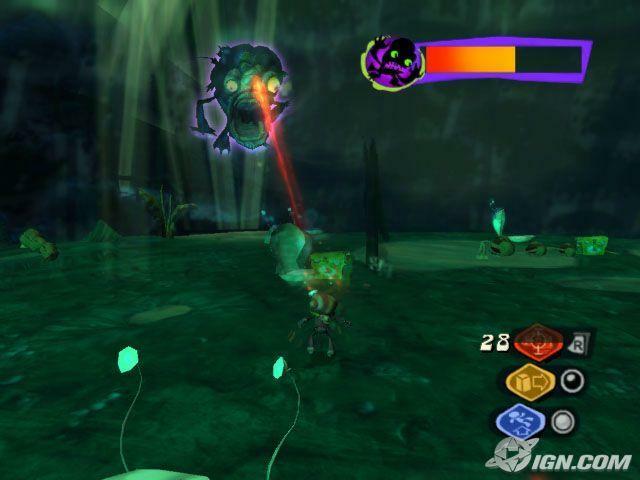 Invisibility: Using this power, Raz can turn near-invisible for about 8 seconds. This is especially useful for sneaking past cameras and dumb enemies, and getting out of sticky situations where your life bar is nearing empty. Marksmanship: Probably the most useful power in the game, it's also the first one you'll obtain. This power allows you to shoot a blast of brain energy at enemies. 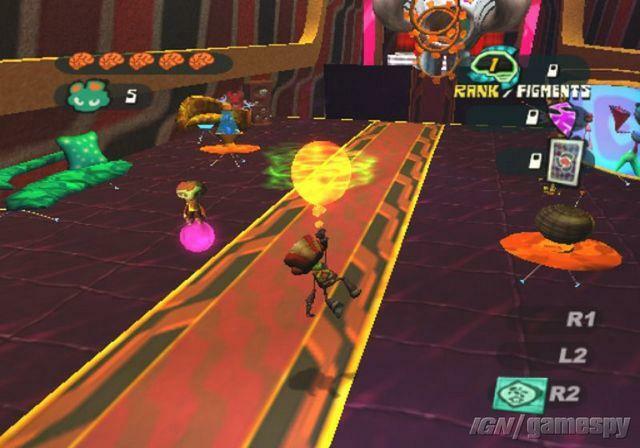 As you level up, the beam will begin to bounce off of other enemies and walls. Levitation: Another very useful power, Raz creates a "brain bubble" and stands on it. This bubble now can be used to get around to certain locations much faster, and also to jump about 10 times higher than the normal jump. This power will be most useful for reaching high, hard to reach areas. After jumping high, you can also use the bubble as a sort of parachute, which can glide you to areas previously unreachable. Shield: Lasting about 8 seconds, this power creates a thought bubble that makes Raz invulnerable for a short time. However, the catch is that you can't move while the shield is activated. This is most useful for using in boss battles that throw or shoot projectiles at you. Clairvoyance: A very funny power you'll obtain later in the game. This allows you to see through the eyes of another person. By using this power, you can sometimes find ways to sneak past stubborn enemies, and find secrets about certain areas that wouldn't be shown to you otherwise. Confusion: Another power obtained later in the game. Raz releases a cloud that confuses anyone in the area. Sometimes the enemies will begin to attack each other, themselves, or just stand there and start talking to themselves while you assault them (which can lead to some funny comments). Keeping pace with the traditional platformer action, you can power up your psychic abilities by collecting a certain amount of objects throughout each mission and in the main camp area. Even after completing the game, I had only found about 60% of the total available items, so needless to say, you could spend a good 30 hours finding all of the items out there. The visual style is probably unlike anything you've seen before. They do a fantastic job of combining real world life with highly animated areas. You may be walking through a shallow river with birds chirping and the sun shining down one minute, and the next, battling large trolls while patrolling someone's cerebrum. Somehow, the game remains true all the way to the ending credits. Never was there a time that I thought the art style went over the top. It's always justified depending on the environment you're in. It really needs to be seen to be believed. Sound is another area this game shines. The music isn't repetitive, changing in just about every area you enter, and voice acting is spot on for every character. The conversations are VERY entertaining, and I can honestly say this is one game where I didn't skip a single cut scene (shame on you if you do - you're really losing a huge part of the game by doing so). I learned that this game suffered many push backs because of certain publisher changes and apparent slow development time. I can only imagine that there were probably times when it was thought that the game might be cancelled altogether - I thank the lucky stars that it wasn't. With tons of creativity and humor at the turn of every corner, this game, in my honest opinion, is one of the CANNOT MISS games of this generation. Don't pass up your PS2 or Xbox without popping this game in first. 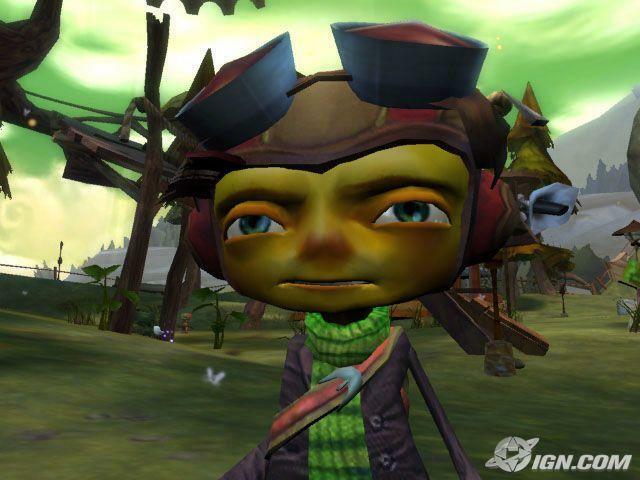 If you are a fan of the Ratchet & Clank and Jak & Daxter series, put those aside and pick up Psychonauts. Hell, I would recommend SELLING those and picking up Psychonauts with the money you make. Do it. Trust me, you won't regret it. Otherwise, I might have to blast you with some psychic power.